KHARTOUM—Sudan will close its recently reopened border with South Sudan once again if that country persists in its support for armed rebel groups, presidential aide Ibrahim Mahmoud said on Thursday. Sudan’s President Omar Hassan al-Bashir ordered the opening of his country’s border with South Sudan in January for the first time since the south’s secession in 2011, paving the way for better economic links between the two nations. The threat to shut the border again comes just one day before peace talks are set to begin in Addis Ababa between the Sudanese government, the country’s largest opposition party and several major armed rebel groups. 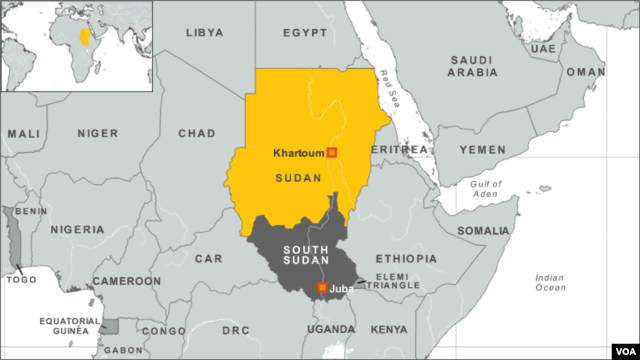 Khartoum accuses Juba, the capital of South Sudan, of backing a rebellion in its Darfur region and a separate but linked insurgency in Blue Nile and South Kordofan. South Sudan denies the allegations. “If the South Sudan government does not refrain from supporting the rebels, we will be forced to close the border with the south once again,” Mahmoud said on Thursday. The border was closed in 2011 after the south seceded following a long civil war, taking with it three quarters of Sudan’s oil, estimated by the U.S. Energy Information Administration at 5 billion barrels of proven reserves. Bilateral relations have remained tense since 2011 as they failed to agree on borders and the status of several regions that both sides claim sovereignty over.